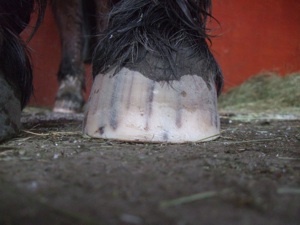 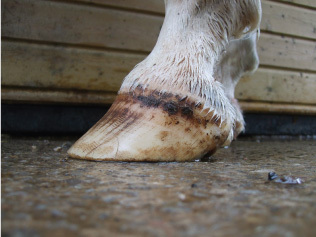 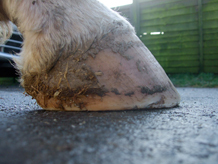 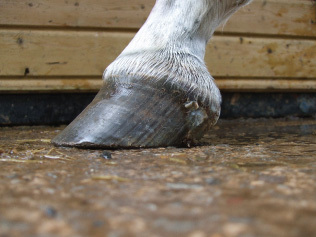 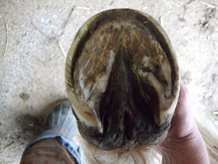 the angle of healthier growth at the top of the hoof. 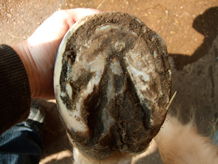 AANHCP natural trim and holistic management program. 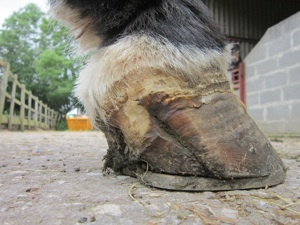 1 st Trim - long toe typical of long term bad shoeing 5 months later - and still getting better. 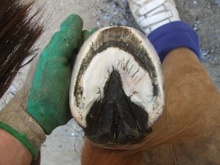 No artificial shortening of the toe, no invasive white line trim. 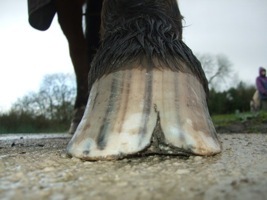 Just allowing the hoof to grow the way it needs to be. 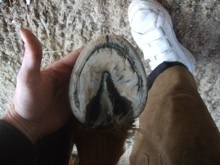 This crack had been in the hoof for two years. 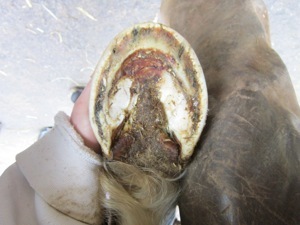 This mare was subject to peroxide hoof scrubs 3 times a week and the owners were told if the shoe were to ever come off the hoof would split open and the horse would have to be put to sleep. 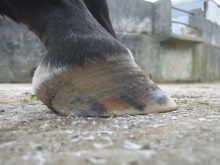 3 months later. 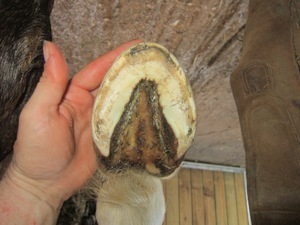 3 trims and a complete change of diet and management. 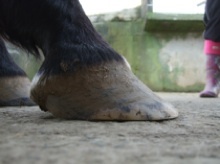 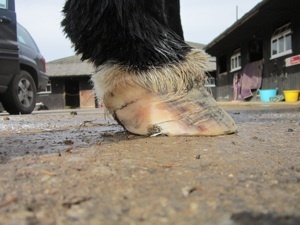 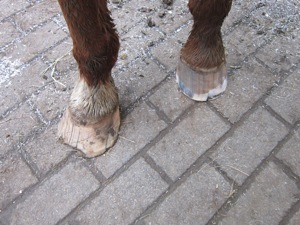 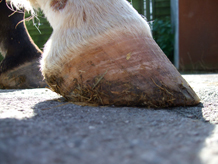 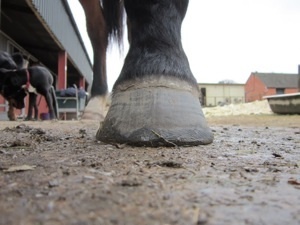 This hoof was crying out for help, and simply by facilitating healing without doing anything invasive and allowing a reasonably natural diet and lifestyle the crack virtually disappeared in 3 trims. 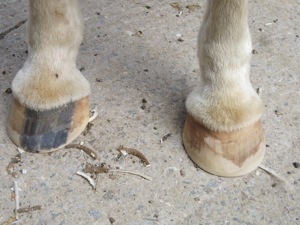 1st Trim - Laminitic mare with stretched white line 2 months later - more exercise and two trims. 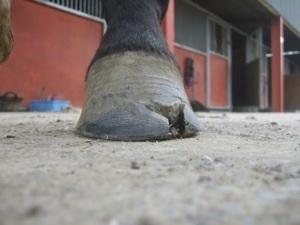 Suspected abcess crack - 1st trim 9 months later - no staples, glue or shoes used.